Sandra Ristovska, a doctoral student at the Annenberg School for Communication of the University of Pennsylvania, has been awarded IAMCR's 2013 Herbert I. Schiller Award for her paper Strategic Witnessing in an Age of Video Activism. Ristovska's paper examines the changing role of witnessing in light of the proliferating practice of institutional video activism. It first traces the concept of witnessing in media scholarship and documentary filmmaking and then presents an institutional analysis of the New York-based nongovernmental organization WITNESS. The members of the selection committee were Andrew Calabrese (University of Colorado, USA) Helena Sousa (Universidade do Minho, Portugal) and Peichi Chung, (Chinese University of Hong Kong). The committee concluded that the paper offers an excellent analysis of a subject that is of crucial empirical and theoretical significance to the field of media and communication research. In a time of turbulent political and economic crisis around the world, media and communication scholars have important opportunities, and even vital duties, to study and explain the activities of people who struggle and risk their lives in pursuit of social justice. Sandra Ristovska’s paper is a well-organized, clearly written and detailed case study of one organization and its role in supporting film/video activists who share with the world documented evidence of social injustices they have witnessed with their cameras. The selection committee noted the overall high quality of papers received and thanks all participants for their interest in the award. Sandra Ristovska will receive the award during a ceremony on26 June at IAMCR's 2013 conference in Dublin. Her paper will be presented during the Community Communication Section session (En-)Countering Crisis on Friday 28 June from 09:00 – 10:30 local time. 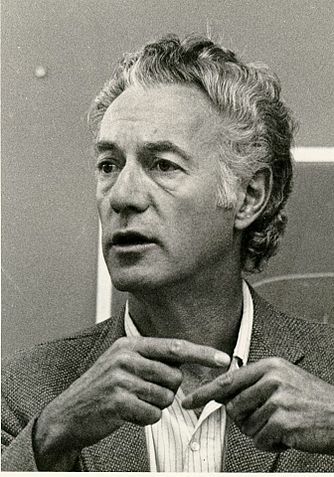 The Herbert Schiller prize was established at IAMCR's Singapore Conference in 2000 to celebrate Schiller's lasting contribution to media/communications scholarship and to remember his work in helping to establish IAMCR as an open, hospitable and vital space of debate, as one of the Vice Presidents of the Association. The award is offered every two years to students or young scholars for a paper which combines scholarly excellence with a commitment to developing and extending the critical, innovative and engaged spirit that characterised Schiller’s contribution to media/communications analysis. Witnessing is infused in ethical and legal discourses that operate within the matrix of knowledge, responsibility, and action. Through an analysis of the nongovernmental organization WITNESS, the paper shows how this matrix has been at the heart of the development of institutional human rights video activism that emphasizes audience-oriented and goal-driven approaches to witness documentation. I coin the term strategic witness to illustrate the professionalization of witnessing as a form of social activism. Furthermore, I consider this new form of strategic witnessing as part of the tactical apparatus —according to the reformulation provided by Agamben— to provide a new analytical framework through which we can think about professionalized forms of media witnessing in the contemporary media moment.